Testors' Super Glue is great for just about any plastic, metal, or wood model or craft project. Because it bonds in seconds it's perfect for adhering joints that would normally require clamping. 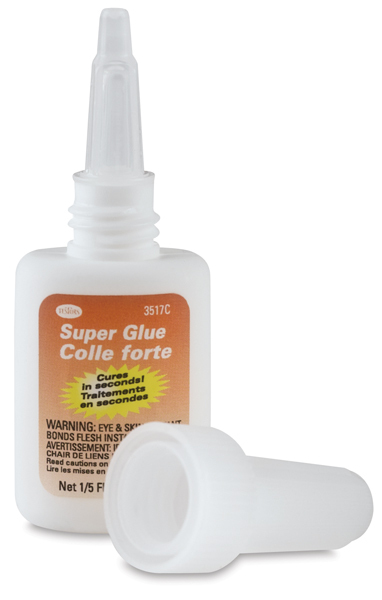 Testors' Super Glue is great for just about any plastic, metal, or wood model or craft project. Because it bonds in seconds it's perfect for adhering joints that would normally require clamping. Testors Super Glue is safe to use with most plastics and metals. However it's not recommend for cloth, Styrofoam™, vinyl, or clear plastic parts.